Easily configurable and flexible portal for antenna positioning. Steel construction designed for manufacturing, conveyor lines and warehouses. Rugged steel constructed, 1.54m x 508mm or 1.98m x 508mm (60” x 20” or 78” x 20”), portals incorporating a reader and up to four antennas. 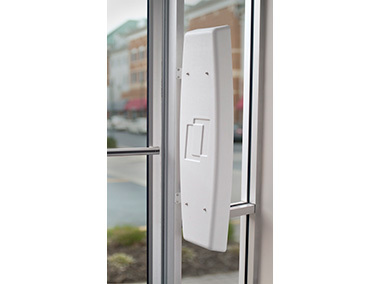 Designed for indoor industrial, commercial and retail applications. Rugged steel constructed, 1.98m by 508mm (78” x 20”), portal incorporating a reader and up to eight antennas. 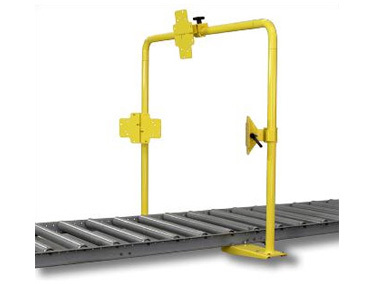 Designed for harsh industrial indoor and outdoor applications. Small Wall mount, 597mm x 305mm (23.5” x 12”)”, portal incorporating a reader and two antennas. Steel construction with ABS cover designed for commercial and retail environments. Wall mount, 1m x 305mm (39” x 12”), portal incorporating a reader and four antennas. 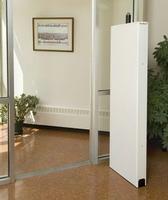 Steel construction with ABS cover designed for commercial and retail environments. Stand alone, 1.6m x 508mm or 1.37m x 508mm (63” x 20” or 54” x 20”), portals incorporating a reader and up to four antennas. Steel construction with ABS cover designed for retail environments.